This truly is the most wonderful time of the year. From eating delicious food to catching up with loved ones, there’s plenty to enjoy during the holiday season. Hosting guests, on the other hand, can get a bit stressful. Whether you’re having people for Thanksgiving, Christmas, or both, there are numerous things to do ahead of time. We want to help as you make those final preparations. 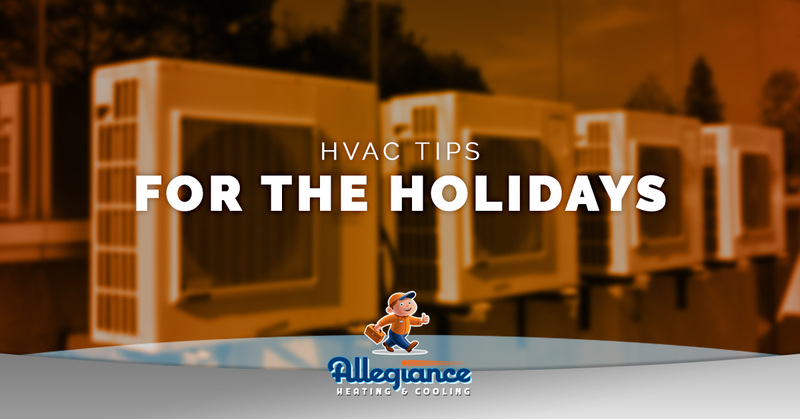 Keep reading to check out our holiday HVAC tips in Mokena. Come up with a list – It’s easy to become overwhelmed during the holidays. Make things easier on yourself by making a to-do list of what needs to be done and by when. Not only will this keep you from waiting until the last minute, but it also just feels good to check something off a list. Turn the heat down – Illinois winters are anything but forgiving. So why are we advising you turn down the heat? Remember the warmth that’s generated when you cook all those scrumptious meals. Even just making a slight adjustment to the furnace can make a significant difference. Plus, who doesn’t like saving a few bucks during the holidays? Do a thorough cleaning – One of the best ways to take some pressure off your HVAC system before the holidays is dusting. Keep in mind that the more you dust, the fewer particles will travel through your home’s ductwork and spread all over the place. Guests with allergies will appreciate your effort as much as anybody! Tune up the furnace – Now’s a great time to schedule general HVAC maintenance. At Allegiance Heating & Cooling, our HVAC contractors catch potential problems before they turn into costly fixes down the road. Don’t forget that performing regular HVAC service prolongs the life of your equipment. Believe it or not, a furnace that doesn’t run properly can cost you hundreds of dollars on energy bills. There’s also the outside possibility that your furnace is leaking carbon monoxide and putting your entire family at risk for serious health problems. Purchase a new HVAC system – Unfortunately, there are some instances where a brand-new system makes more sense than HVAC repair efforts. The HVAC contractors at Allegiance will provide our top recommendations while also being transparent, from the time you call to the time we finish. You can feel comfortable knowing that we are a factory authorized Carrier dealer, meaning we can handle all makes and models. Allegiance wants to help you keep guests comfortable this holiday season. From boiler service and generator repair to fireplace repair and everything else in between, trust us to get the job done. Call Allegiance today for heating repair and more.